With the introduction of VPN in Windows, it has become more secure and reliable. You can now easily set up a VPN connection on Windows OS. 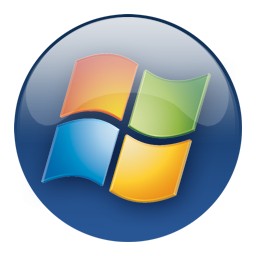 With the advancement in technology and with the introduction of Windows 7 OS it has become even simpler to connect to Windows VPN service. How to Connect VPN in Windows? By following the steps mentioned below you can easily set up a VPN connection on Windows OS. Note: The following tutorial is for Windows 7 only. Click on the Setup a New Connection option. Here select the Connect to Workspace option. Type in the IP address or the name of the computer in the Internet Address field to which you want to connect. In the Destination Field enter the name of the connection. On the next screen enter the Username and Password of the VPN connection provided to you by your VPN service provider. Then hit Save on the screen. And there you go you are all set up to connect to a VPN. VPN will provide you the safest and most secure environment for connecting to the Internet and will make you capable of connecting to all the blocked and inaccessible websites in your area. VPN surely will make your Internet experience worthwhile by providing you with enhanced speeds so that you can surf and browse the Internet without any lag or delay.